Leslie Model 30C | MOSweb Online! 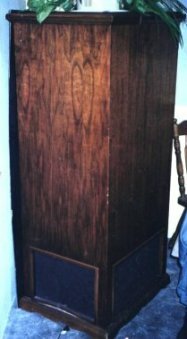 This is the “Church Version” of the original Leslie Model 30A, a single speed cabinet with no provision for remote control. It is supposed to have had a different rotational speed. The model 30C was made specifically for the balanced output of a Hammond “G-G” Console (IE Model B or C).